On 12 March 2019, the network of companies known as RPM (Rete Professionisti Motorsport – Motorsport Professional Network) was founded by a notary in Modena where the founding members of the network signed the deed of incorporation. The network is comprised of Italian companies and professionals operating globally in the manufacturing and service sectors of the Motorsport Industry. 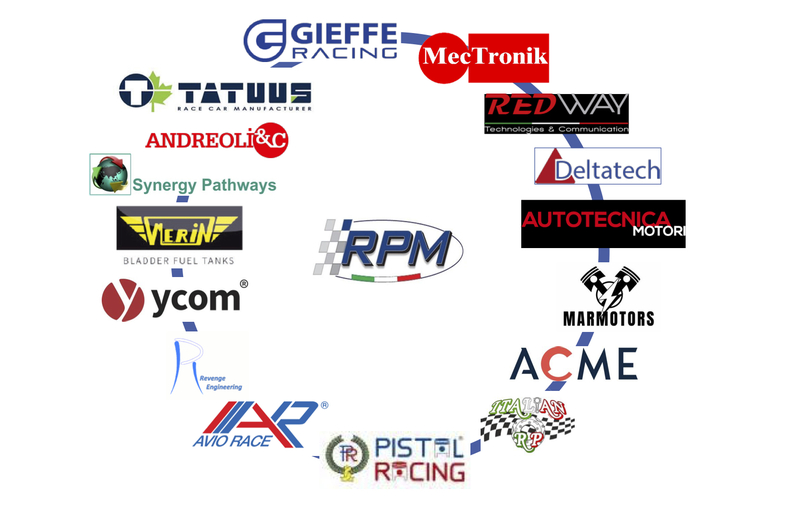 The purpose of RPM is to create synergies between firms in order to enhance industry capability and to promote Italian Motorsport and performance engineering excellence throughout the world by generating innovation within the field of Motorsport and technologically related sectors. La Sapienza – Rome University and Pisa University are already strategically and operationally involved with the network in order to enhance and implement a research based approach to technological developments and organisational improvements within the rapidly changing global marketplace of motorsport and related sectors. 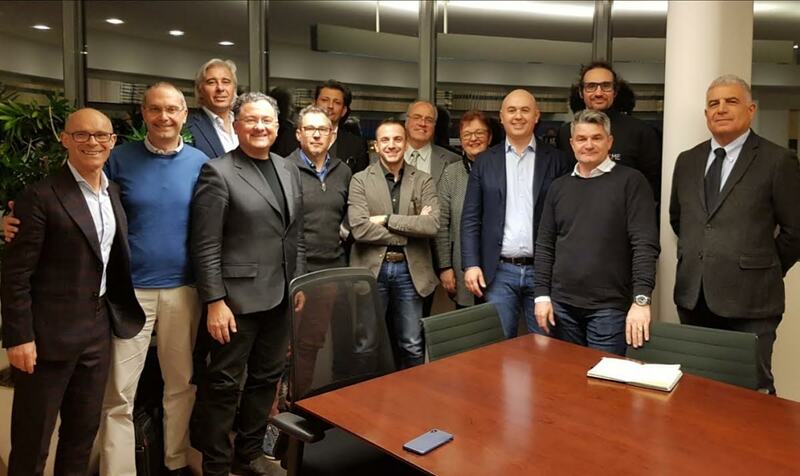 On 11 April 2019, the founding members of the network met in Rome on the occasion of the Formula E Rome ePrix for the first general formal counsel of the network. Organisational, operational and strategic pathways of development were set for the short, mid and long term. About twenty founding members, from the extreme north to the extreme south of Italy, representing various capabilities and component manufacturing in the field of Motorsport and related sectors, have begun the process to identify their core competencies and levers of excellence in order to create strong synergies of development within the network. Another aim of the network is to establish concrete national and international co-operation for business development for the industry. The timeless scenery offered by a Roman terrace was the setting for a social dinner following the general formal assembly. This was a great location to channel a sense of the talent and excellence of the industry through tradition, the present and the future in typical Italian style. 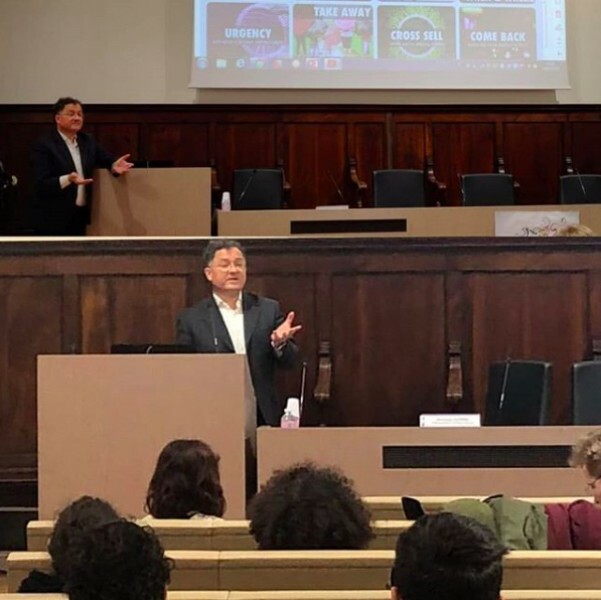 On 12 April 2019, in the timeless historical premises of La Sapienza University’s Engineering faculty, RPM launched its first public conference. The network was presented by tracing back to its roots, its present and future aims and these introductory contents were further articulated by specific specialists in their field. Francesco Sedea (RPM President), Riccardo Paterni (RPM Vice President of Business Development) and Giorgio Casolari (RPM Vice President of Network Development) moderated the debate that followed. Engineer Luca Marmorini, from Marmotors Srl (a founding RPM member) briefly illustrated the pathway of technological developments that have linked and are linking Motorsport to the future of mobility. In particular he pointed out the traditional strength of Motorsport companies in harnessing prototyping by embracing with focus and flexibility the toughest challenges of prototype manufacturing technology’s. He also pointed out that Motorsport has traditionally worked on an efficiency perspective in order to generate performance and that this is a key value added to many projects not only in Motorsport (for example key people operating in the SpaceX Elon Musk program have Motorsport background). Professor Leone Martellucci, from the Engineering Faculty of La Sapienza University (a close cooperation is likely to develop in technology terms between this university and RPM) added that going even beyond efficiency, the future of mobility is linked to alternative sources of energy and in this too the ‘Motorsport mindset’ has shown to be a winning factor. He spoke about his experiences as a student with the legendary Giotto Bizzarrini and illustrated the accelerating progress of power energy management through the evolution of the Formula Student SAE projects. Dr. Tim Angus, Honorary Research Fellow from Coventry University, pointed out the research that has been done throughout the years on the UK relevant to the growth and dynamics of the Motorsport Industry in that country . This included the UK motorsport industry’s direct knowledge transfer links to other sectors such as automotive, aerospace and defence amongst others. In terms of industrial identity and synergic developments the Italian Motorsport Industry has similarly relevant paths to follow and one of RPM’s network aims is to focus directly on guiding and implementing this process of industry diversification. Engineer Rodi Basso, Motorsport Director – McLaren Applied Technologies, fascinated the audience with a presentation with the title ‘The humanistic face of Motorsport’ pointing out how the context of Motorsport has evolved into a vision embracing technology and marketing in a powerful flow of effective innovation; a vision that in itself has the potential to fuel innovation driven by sustainability, entertainment and a sense of convergence regarding serving the actual needs of the market,. This kind of flexible, focused approach, rooted in Motorsport, is effectively utilised in fields as diverse as automotive, healthcare and natural resources preservation and management. Finally Professor Riccardo Giannetti, from the Economics and Management Faculty of Pisa University (who are already cooperating with advising on RPM’s organisational set-up), pointed out the organisational aspects that can be utilised to create synergies among business models already present within the RPM network. He also outlined how to shape new business models by leveraging the varied competencies present within the RPM network. Ways to measure (evaluate?) RPM performances have also been suggested by Professor Giannetti. joined up strategy and convergence thinking (finding what are the market needs first in order to serve them at best). RPM’s organisation is committed to stimulate and drive the teamwork needed to implement and achieve these network goals and the ones to arise in the future. The RPM (Rete Professionisti Motorsport) performance engineering Motorsport network has been founded in Modena on March 12th 2019. Several Italian motorsport industry companies, representing varied specific technical fields, are among the founding members spread across Italy from north to south of the peninsula. Coming up an event, concurrent to the Formula e ePrix in Rome in April, presenting officially the network, its purposes and development strategies. Stay tuned. 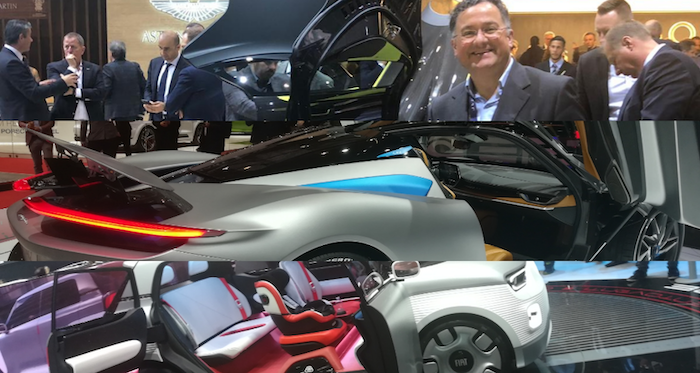 On March 5th, the opening day of the Geneva Motor Show 2019, has been an intriguing involving experience that has allowed to encompass past, present and future of a kind of mobility that goes beyond traditional automotive reference points embracing relevant changes characterising the present and the future. The past has been featured and recalled through styling choices revisiting concepts dating back even to the 1920s and 1930s: the ‘one of one’ Bugatti ‘La Voiture Noire’ as well as brands like Ispano Suiza and others represent clear fascinating examples of this trend. The present reconciles technological evolutions relevant to hybrid and full electric powertrains inspired by sustainability needs and stepping into progressively bolder ways to reap the benefits of digital technologies increasing comfort of the driving experience and safety of mobility; all of the major global brands have brand new or evolved models on display along this line of thought. The future is present through many concept cars that span from the ambitious subcompact FIAT Centoventi, conceptually filled of creative ideas targeting millennials lifestyle (and even stimulating an entrepreneurial mindset for the driver/user), to several hyper-cars of which possibly the most awaited one is the featured world premiere Pininfarina Battista boosting a raw electric power equivalent to almost 1900 bhp. Retro style, extreme performance, sustainability, digital technologies opportunities to the benefit of manufactures and users alike, new business models empowering fresh conception of cars as dynamic social media devices (FIAT Centoventi); all in all many perspectives that contribute to fuel an ever stronger and widespread fascination with mobility solutions within the setting of a motor show that in itself is rooted in history and tradition. New brands from Russia and Cina are also introducing themselves leveraging their identity on such emerging trends and contributing to the changes. Overall we can discern that the world of automotive and mobility is clearly at the threshold of relevant changes generated by a sort of ‘perfect storm’ originating from several concurrent factors: a marked evolution of traditional automotive technologies; digital technologies that are progressively affirming their overall pervasiveness and integration in manufacturing, distributing and continuous improvement of the user experience; levels of raw performance reaching new unparalleled heights thanks to electric power matched by the ever sophisticated utilisation of composite materials enabling active vehicle dynamics. The ‘what’s next’ of automotive is therefore characterised by changes that represent at the same time concrete opportunities of development and treats for growth; it all depends from the swiftness, agility and effective innovation focus that companies involved in the business will utilise to interpret this new dawn of mobility. Riccardo has participated to the PhDPlus programme 2019 edition organised by the University of Pisa presenting an interactive seminar on the topic ‘How to sell a fidget in one minute’ designed by Ray Garcia. The purpose of the seminar has been to stimulate the participants to articulate in the most direct, efficient and effective way the innovative products or services that they intend to promote. As Synergy Pathways it is our pleasure to contribute to this project by Taraschi Automobili. Its focus is to revive the historic Taraschi brand through a technologically advanced supercar expressing the unique design and technological traits that made of Taraschi a successful brand in racing during the 1950s and 1960s and still nowadays affirms its presence in international historic racing. The very limited edition supercar bears the name of the late founder of the brand, Berardo, and it has been a pleasure to listen to his son, Tazio Taraschi, articulating many anecdotes that have made the history of the brand unique in its essence and have generated a legendary heritage fuelled by the lengthy racing pedigree. 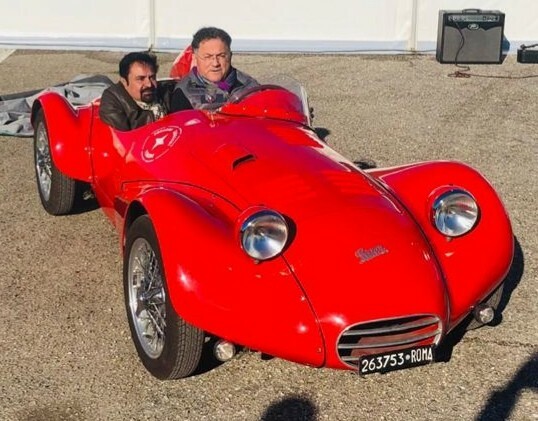 The prototype of the Taraschi Berardo has been presented during an exclusive preview within the charming and inspiring premises of a medieval castle ( Castello di Modanella ) and a closed-doors drive test at the Magione race track involving a selected group of automotive collectors coming from India. The Taraschi Berardo will be officially presented in early 2019. “Driven by people, fuelled by passion: advanced technology to engineer a fast changing future”; this is not simply a statement that characterises the identity of a company: it represents the essence of a unique mix of researched and applied technical know-know in Motorsport and high performance engineering guided by synergic visionary teamwork. This is YCOM , an Italian based engineering and prototyping organisation with extended global roots and reaches. The company recently celebrated 10 years of activity within a unique setting (a classic cars and bikes museum and auction space: Ruote da Sogno) at the presence of an audience of fans (customers, suppliers, friends) and famed professionals coming from several parts of the world (some of them legendary people that have set the development paths of the field for decades through their visionary talent and still influence it in meaningful ways as for example: Gian Paolo Dallara and Mauro Forghieri. 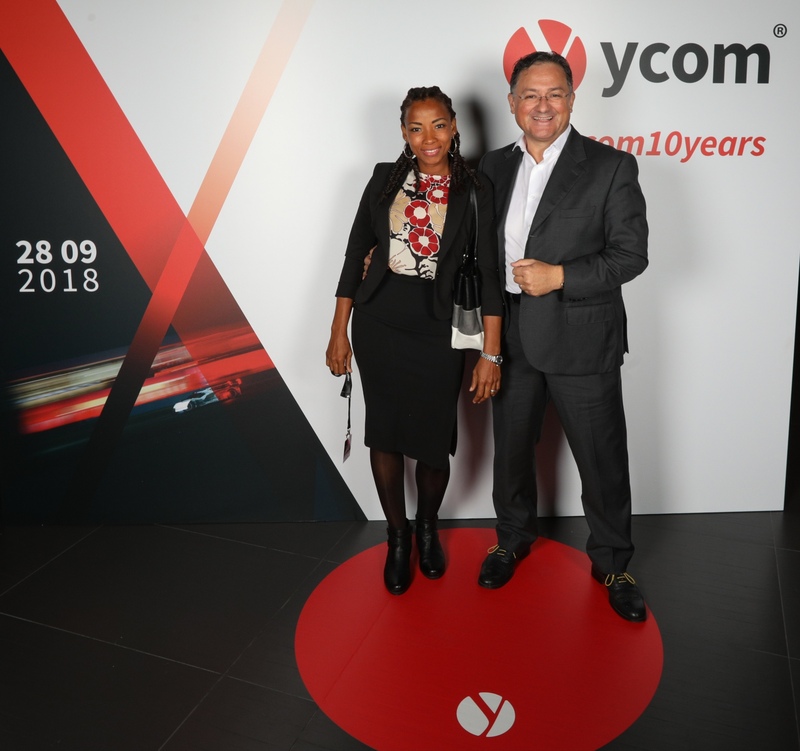 YCOM’s story is ingrained within the dynamic traditions of innovations rooted in Motorsport and high performance engineering that have characterised the last 10 years of innovation generated at first in Motorsport and then progressively reaching automotive mass markets in several segments. 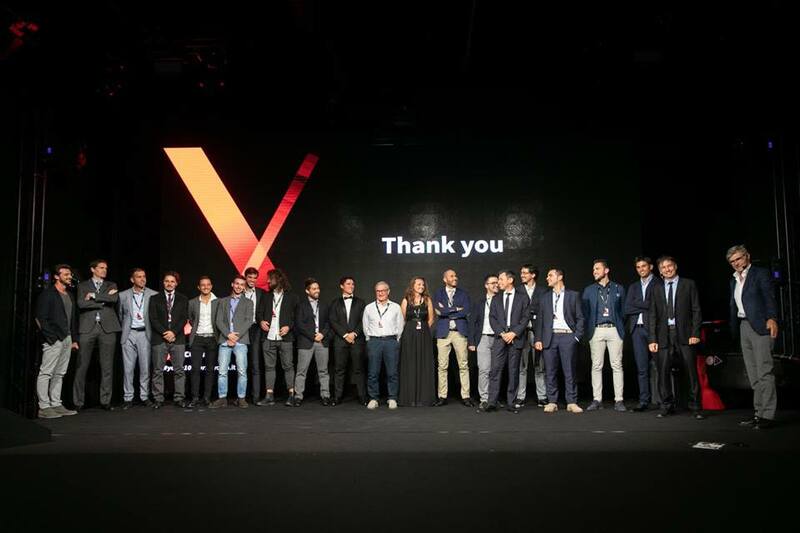 Nicola Scimeca and Mario Saccone , YCOM co-founders, have shared with the audience the highlights of 10 years remarkably intense and rich of relevant projects. Projects that have demonstrated the high level of respect and consideration that the company has been able to conquer, retain and multiply through projects commissioned by (and developed in partnership with) key Motorsport and automotive brands. YCOM is a classic case-study to represent the relevance and reach of technological Italian Small and Medium Enterprises that are leveraging their growth on the development and application of their unique know-how to clients project. The difference that they make is generated by a visionary application of know-how focusing on innovative solutions to constantly improve performance; solutions that hinge on talent that has been nurtured progressively within the company. YCOM projects are characterised by a marked level of overall efficiency on execution relevant to the innovative projects they tackle. On these basis YCOM is set to strengthen and increase its presence and reach in in meaningful and lasting ways. 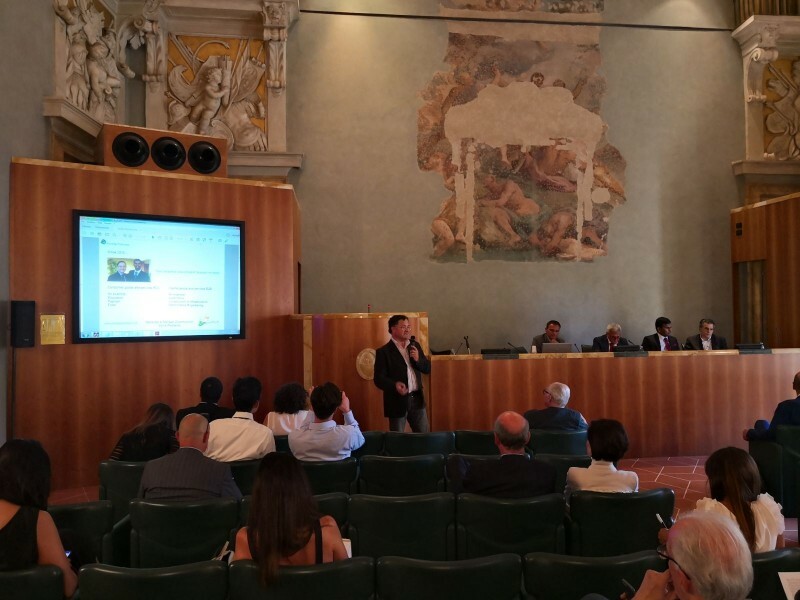 On July 13, 2018 at the Florence headquarters of Bank Monte dei Paschi di Siena has taken place a seminar focusing on business development in India. Several presenters have outlined opportunities of concrete action targeted to generate actual business set to steadily develop in the mid to long term: financial tools featured by relevant institutions set to meet the various projects and organisational needs ( Mario de Luca Head of Monte dei Paschi Foreign Trade , Pietro Petrucci Head of SACE Tuscany, Francesco CastaldelliInvestment Manager at SICI ) as well as technical tools and approaches to execute business development in pragmatic ways specifically towards the unique socio-economic and cultural context of India ( Pierpaolo Vannucci Founder and Partner at Vannucci and Associates together with Samit Naik , in remote connection from Mumbai and Riccardo Paterni , both co-founders of Synergy Pathways). The seminar has also featured a presentation by Pietro Riccomini CEO of Bionatura; the company is currently focusing on the entry and development of in the Indian market. The session has been closed by Shyam Chand Director of the Commercial Section at the India Embassy in Rome pointing out several areas of joint business connection and development India – Italy. It has been a pleasure to be part of this synergising way to illustrate an integrated pragmatic model to business development towards India. Throughout the presentations it has been evident, from several perspectives, that Italian companies have tangible opportunities to understand, embrace and develop towards a market that offers remarkable opportunities of growth. At this link pictures of the seminar. At this link a video summarising the seminar (in Italian). Here below the downloadable program of the seminar along with some pictures from the event. 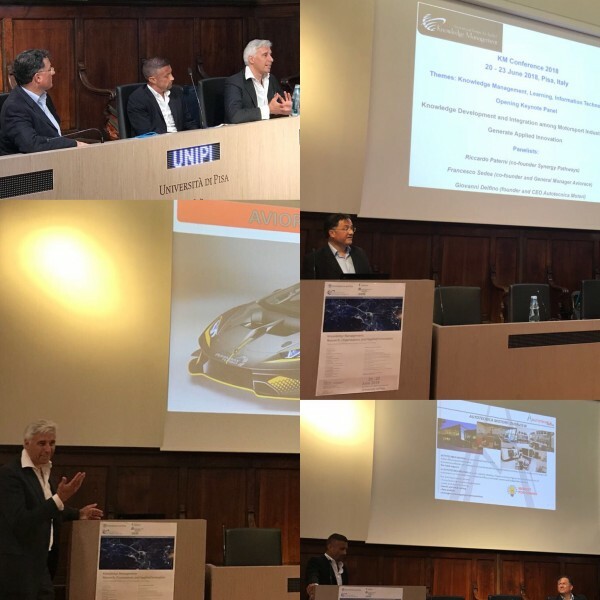 On June 28th 2018, several companies from the Italian Motorsport Industry have gathered to proceed in structuring a meaningful network aiming to enhance the value generated by the Italian Motorsport Industry ecosystem towards global opportunities. The industry know-how needs to be fully valued within global projects regarding several fields: motorsport constantly evolving needs, automotive rapidly changing and evolving scenarios, as well as aerospace, defence, biomedical and other fields that can benefit from research & development generated by Motorsport companies and their capabilities to accelerate innovation processes. The companies involved were SMEs (Small and Medium Size Enterprises), larger multinational corporations and global entities that are channelling and leveraging investments involving the ecosystem. The meeting was held at the facilities of one of the companies, YCom in Collecchio Parma (future meetings are also going to be held at facilities of member companies in order to stimulate practical ways to synergise activities) and represented a sought-after follow-up to a conference that was held in Rome last April in which opportunities and methods of business development for the Italian Motorsport ecosystem were outlined and debated (see article Il Motorsport Italiano Fa Sistema for an overview of that meeting). The network is now rapidly proceeding to structure itself while aiming directly to fulfil the action items agenda agreed upon. Activities are being implemented to stimulate deeper knowledge among the companies part of the network in order to facilitate synergies targeting international growth opportunities. In business terms innovation has become a buzzword; it seems that everything needs to be innovative in order to succeed generating sustainability and growth: products, services, overall business models. In reality sustainability and growth are not simply linked to a commonly shared concept of innovation (innovation means to be creative, to think and act in original ways), rather innovation that generates results is more complex in its foundations (innovations has its roots in applying original thinking that actually achieve desired results: ineffective original thinking is simply creative, not innovative). Any company that truly thrives on innovation understands and applies this consideration as a matter of fact. 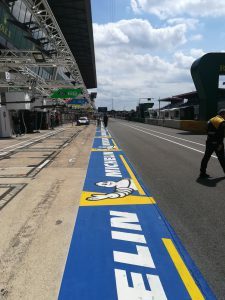 Recently I have had the opportunity to spend some intense hours in the unique setting of the Le Mans 24 hours as a fascinated enthusiastic spectator from the grandstands as well as from the pits and paddock. It is the pits and paddock perspective that has made me associate Le Mans’ overall context to a continuous search for the actual innovation described above. It is a given that technological innovation, developed within regulations boundaries, determines a key competitive advantage mostly within a race characterised by the integrated focus on extreme performance and extensive endurance. It is not a given to realise that such sophisticated technology totally depends on the human factor’s synergised actions in order to achieve concrete and consistent results (and the human factor comprises everyone: management, engineers, drivers, mechanics, support staff). In these terms the 24 Hours of Le Mans exemplifies at best the innovation edge represented by Motorsport because of its unique characteristics and complexities. In fact, innovation is not simply a matter of research and development, it is also a matter of finding original practical solutions to make them work and manage emerging challenges. Action within Le Mans pits effectively represents these concepts and certainly some of the extemporaneous solutions that arise from the unique mix of technology and human factor find further refinement and elaboration after the race and become sources of further research and innovation. All in all this can concretely generate an innovation mindset widespread within the racing team and the overall Motorsport organisation. From this perspective, Le Mans 24 hours’ innovation edge inspires some observations that can be quite useful for any organisation that concretely and consistently wants to grow leveraging on pragmatic innovation. Three key factor surface in a distinct way: a) the need for total synergic organisational interdependence ; b) the need for structure in order to be fast and dynamic towards the achievement of the set goal ; c) the realisation that any detail, no matter how trivial, counts and it can make the difference towards the affirmation of innovative practices. Synergic interdependence means that effective innovation depends upon the professional integrated effort of any single role (drivers, management, engineers, crew members; everyone has a direct essential influence on manifesting actual innovation). Organisational charts with defined roles and responsibilities are on evident display in Le Mans’ pits where effective action and effective solutions require no hesitation and cannot afford effort overlaps. It all hinges on a consistent overall focus on any detail: an original solution will remain at the creative level until all details involved into it line-up towards an actual effective result turning creativity into actual innovation. To understand what actual innovation is, and the actual complexities it involves, an inside look to the 24 Hours of Le Mans can represent a source of pragmatic inspiration to any company in any field. On June 20th 2018 Motorsport has taken center stage within an international knowledge management conference (KM2018) organized by the International Institute of Applied Knowledge Management and held at the University of Pisa. Riccardo Paterni (co-founder of Synergy Pathways) together with Francesco Sedea (co-founder and General Manager of Aviorace) and Giovanni Delfino (founder and CEO of Autotecnicamotori Motori) outlined the unique ways in which the Motorsport Industry applies and develops its know-how enabling its sharing in other industries and the efficient and effective acceleration of innovation.